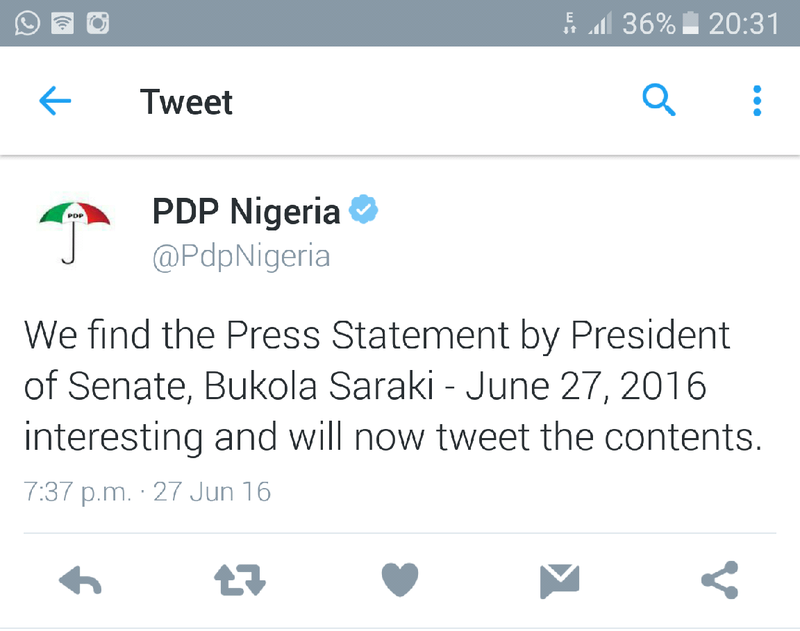 Bukola Saraki today after his court appearance released a press statement on his ordeal. He claimed the Buhari’s government has been taken taken over a cabal. Today we the leaders of the Nigerian Senate reiterate our innocence against the charges filed by the Attorney General of the Federal Government of Nigeria at the Federal Capital Territory (FCT) High Court on the allegations of forgery of the Senate Standing Rules document. In our view, the charges filed by the Attorney General represent a violation of the principle of the Separation of Powers between the Executive Branch and the Legislative Branch as enshrined in our Constitution. This misguided action by the Attorney General begs the question, how does this promote the public interest and benefit the nation? At a time when the whole of government should be working together to meet Nigeria’s many challenges, we are once again distracted by the Executive Branch’s inability to move beyond a leadership election among Senate peers. It was not an election of Senate peers and Executive Branch participants. Over the past year the Senate has worked to foster good relations with the Executive Branch. It is in all of our collective interests to put aside divisions and get on with the nation’s business. We risk alienating and losing the support of the very people who have entrusted their national leaders to seek new and creative ways to promote a secure and prosperous Nigeria. As leaders and patriots, it is time to rise above partisanship and to move forward together. I will remain true and committed to the responsibilities that my citizenship and my office impose on me. Without doubt, the highest of those responsibilities is the steadfast refusal to surrender to the subversion of our democracy and the desecration of the Senate. This is a cross I am prepared to carry. If yielding to the nefarious agenda of a few individuals who are bent in undermining our democracy and destabilising the Federal government to satisfy their selfish interests is the alternative to losing my personal freedom, let the doors of jails be thrown open and I shall be a happy guest.